Hospital pharmacies struggle with time-consuming manual tasks such as replenishing kits and trays, and managing pharmaceutical inventory. The opportunity to automate these activities and as a result, save time, reduce errors, and focus more on critical patient care efforts, is a welcome idea. Many have heard of radio frequency identification (RFID) healthcare technology as an automation solution that can help the pharmacy be more effective and efficient; However, the prospect of delving into a new technology might appear daunting when dealing with an already packed schedule. The good news is that hospital pharmacy RFID automation is both powerful and simple. Radio-Frequency Identification (RFID) is the wireless use of electromagnetic fields to read and capture information stored on a tag attached to an object. Using RFID, error prone tasks such as manual counting and item-level scanning are eliminated. RFID is powerful in healthcare because it is low cost and creates multiple efficiencies. Using RFID allows you to reduce process steps, optimize labor resources, avoid errors and enhance data collection. Often, RFID in hospital pharmacies is driven by greater emphasis on patient safety. RFID automation in the hospital pharmacy supports automation of manual error prone tasks that put patients at risk. Hospital administrators are also finding that RFID saves thousands of dollars in optimizing labor, reducing supply waste and lowering carrying costs. One of the beauties of RFID is the simplicity. Once items are tagged, encoding can be done in bulk and the information is available throughout the system for medication inventory tracking and detailed real-time visibility throughout a facility. 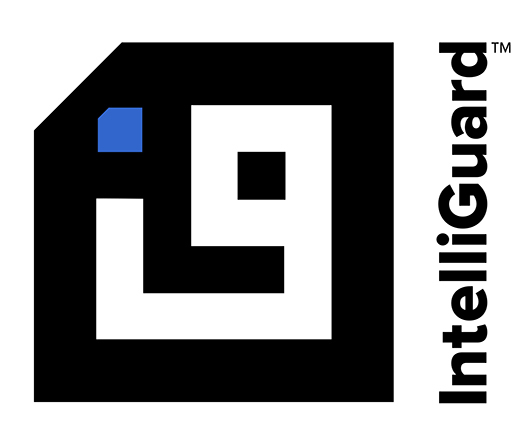 The Intelliguard® RFID pharmacy automation process begins by affixing a RFID Smart Tag to medication containers. Each RFID Smart Tag contains a unique serial number identifier. Once medications are affixed with the tags, they are placed in the Intelliguard® RFID encoding workstation and associated with the unique drug information as detailed below. Step 1: Place a small RFID tag onto medication packages and place individual item or entire lot in workstation. Step 2: Scan barcode. Product information such as manufacturer and medication name is automatically loaded on to the system. Step 3: Enter and confirm lot number and expiration date. All Smart Tags are programmed simultaneously. That’s it! All inventory is counted simultaneously and in a matter of seconds. The data is now encoded for every tag and ready for access and reporting throughout the system. Is that individual item deployed in a kit or tray? If so, where is that kit or tray located? If encoded, but not yet in a case, kit or tray, is it in quarantine? Is it approved, but currently stored in pick wall bins or shelves? Also, be sure to register for our blog to receive notifications of new posts, including upcoming “how to” videos demonstrating the Kit and Tray Management System and Controlled Temperature Cabinets.